Can diversity training really solve the problem? On Tuesday, Starbucks stores will close for an afternoon. The coffee chain faced swift backlash after a Philadelphia store manager called police on two black customers. Now more than 175,000 Starbucks employees will undergo a company-wide training, which Starbucks says will "address implicit bias, promote conscious inclusion, prevent discrimination and ensure everyone inside a Starbucks store feels safe and welcome." These kinds of trainings happen in workplaces across the country, and they go by many names: implicit bias training, diversity training and prejudice reduction training. The point is to coach employees through interactions with people that are different than them, to lift the veil on the hidden biases that cause so many of us to react poorly. Depending on how companies conduct them, experts say some people can have a negative response, even rejecting the teachings they're supposed to internalize. But training that is done well, both uncovering bias and emphasizing its ubiquity, can empower people to make a change in behavior. Diversity training can backfire when it relies too heavily on negative language, legalese or scare tactics that threaten employees who may act on their biases. This approach can infuriate employees, or, according to research from John Dovidio, professor of psychology at Yale University, some white employees may avoid all interactions with minorities. Instead, trainers should empower employees to feel like they have the potential to be good guys, not just villains. "I can use my conscious ways of thinking to overcome implicit bias, if I know I have implicit bias and how it works," Dovidio says. "But here's the kicker: if you try to suppress or you try to deny it, the problem is that doesn't work. It just sort of aggravates and activates those implicit biases. You're just trying to hold them down, which takes effort." A change in behavior takes time and practice. Good training gives employees hard tactics to use in uncomfortable situations, when their latent prejudice would otherwise kick in to prompt an outsized, bias-prompted response. Even something as simple as a script to follow can help immensely, says Michelle Mielly, professor at Grenoble Ecole de Management in France. Mielly says good training should "enable people to have a few similar approaches, to get through situations by having something already written down, and to have coworkers also be there, to chime in if the other person is lost." So the next time a worker encounters a situation that makes them uncomfortable, they can refer back to one of the practice conversations they rehearsed in training. Rather than, say, calling the police. 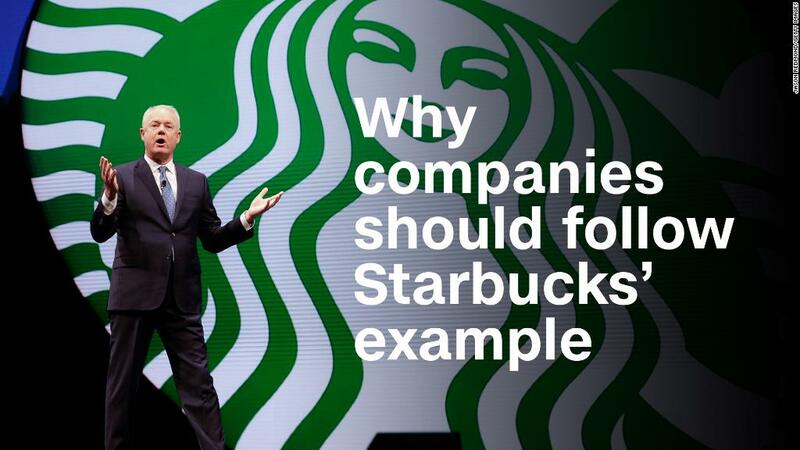 Starbucks should also be teaching employees how to rely on one another through this process, Dovidio says. "I have the best of intentions, but having good intentions doesn't guarantee that I'm going to behave in an unbiased way," he says. "So I need tools for myself, but I need other people to support me and help me and intervene when those implicit biases pop out and I'm not aware of it." Starbucks says it will incorporate the May 29 training into its on-boarding process for all new employees. In coaching people through the biases many share, training also helps employees see working through their bias as an ongoing process, not a finite one. And after all the scripts and learning and team-building is done, training can't promise that one afternoon session will eradicate bias entirely, Dovidio says. That's a job much too big for a single person — or even a global coffee chain — to undertake. "What you can do is get people to think of these interactions as learning opportunities: how you can learn from people who are different than you, how you can develop valuable skills and leadership," Dovidio says.